NO! It’s NOT the 700 club y’all are thinking about… As I’m not sure what that NUT BALL is up too? So while Y’all are still basking in the Afterglow of that Great Spectale, I thought I’d just finally post this story which has been percolating for quite some time... As after all it’s semi-related to that ICONIC Delta Wang thingy, right? As I for one truly hope that Indy Car does NOT choose to unleash that ABOMINATION as it’s chassis of the future upon us! And thus, without further ado, here’s a look at some of the previous attempts made to break the Land Speed Record, (LSR) although I suppose you could question just when does a vehicle purpose built for this unique style of racing no longer become ultimately considered an automobile? 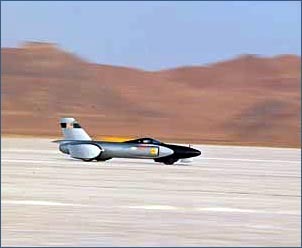 Since the majority of the top speed records have all come courtesy of jet powered rocket cars. Interestingly, early records did not recognize any Rail or Water speed marks, as the steam powered locomotive wasn’t beaten until 1906, with the earliest record for the flying mile being published in 1898 with a speed of 39.24mph set in France with an electric vehicle. The 100mph barrier wasn’t broken until July 21, 1904, when France’s Louis Rigolly, driving a Gobron Brillié in that year’s Gordon Bennett Cup went 103.56 mph (166.66 km/h) in Ostend, Belgium. Meanwhile, the compact sands of Daytona Beach had become the ideal locale for land speed record attempts, with 15 records being set between 1905-35, as speeds continuously climbed faster and faster, with 200mph being exceeded on March 29, 1927 at Daytona Beach and 300mph on “September 3, 1935 at the Bonneville Salt Flats, as the Daytona Beach (Road Course) had become too small to host these dizzying speeds. Sadly, 1926 Indy 500 rookie winner Frank Lockhart lost his life 80+ years ago in an ill-fated LSR attempt on the Beach in his Stutz Blackhawk Special. Resuming after the interruption of World War II, the FIA was finally forced to recognize the advent of rocket powered “sleds,” when Craig Breedlove’s 408mph “pass” caused major controversy. 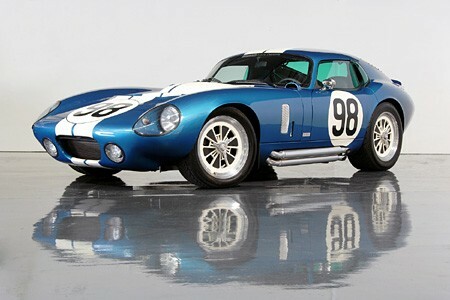 From the original 1898 record acknowledged by the Automobile Club de France (ACF) thru 1962 records kept by multiple International agencies, all speeds had been obtained by automotive engine wheel driven vehicles and Breedlove’s record of 408.312mph originally wasn’t recognized by the FIA on two accounts. One, it was of only three wheels and Two; wasn’t wheel driven, i.e. ; the rocket propulsion wasn’t turning any of the ground based wheels thru its axles. Yet the FIA was finally forced to relent since the public was oblivious to their current regulations and a new absolute land speed record class was created for 1963 – onwards. Sir Malcolm CampbellThis Englishman was a motoring journalist and the first person to be officially recognized with having exceeded 150, 250, 275 and 300mph, along with setting a mark of nine world land speed records, with three at Pendine Sands and five at Daytona Beach. Sir Malcolm holds the distinction of being the final person to set a speed record at Pendine Sands, a seven mile beach on the south coast of Wales. This was the very last recorded European record set, while Campbell also is credited with the final LSR recorded on the sands of Daytona Beach. Campbell, whose versatility included records both on land and water, was the first person to exceed 400mph in one of his many vehicles named Bluebird, when the wheel driven vehicle set a speed of 403.135mph in Australia, but was disappointed to not have beaten Breedlove’s record speed. Craig BreedloveMost likely when you think of the Bonneville Salt Flats, Craig’s name immediately comes to mind... As the Los Angeles “So-Cal” native is renowned for his handful of Land Speed Records, having become the first man to break the 400, 500 and 600 miles per hour speed barriers in his assortment of Spirit of America rocket powered vehicles, having claimed the world speed record a staggering five times. In the late 1990’s, Breedlove had hoped to become the first person to exceed the sound barrier on land in his battle against the British Thrust SSC, but after experiencing a harrowing crash on his first run in 1996, at approximately 675mph, when his crew misinterpreted wind conditions, with Craig being caught in a gust of 15mph, throwing Breedlove into a violent spin and subsequent crash, major repairs were required. In ’97, Breedlove returned, but after experiencing a major engine malfunction, which I seem to recall was due to faulty wiring of the engine’s after burner and then a loose bolt destroyed their back-up engine, the Spirit of America camp was never able to recover, ultimately packing up an going home. This Akron, Ohio resident is best known for his series of “Green Monster” land speed vehicles, as Arfons held the world land speed record a total of three times during his fiercely fought battles with Breedlove between 1964-65 as the two drivers swapped the record a total of seven times, before Arfons gave up in 1966 in order to concentrate upon tractor pulling contests instead.